Congratulations England for getting to the semi finals and all the best for tonight. 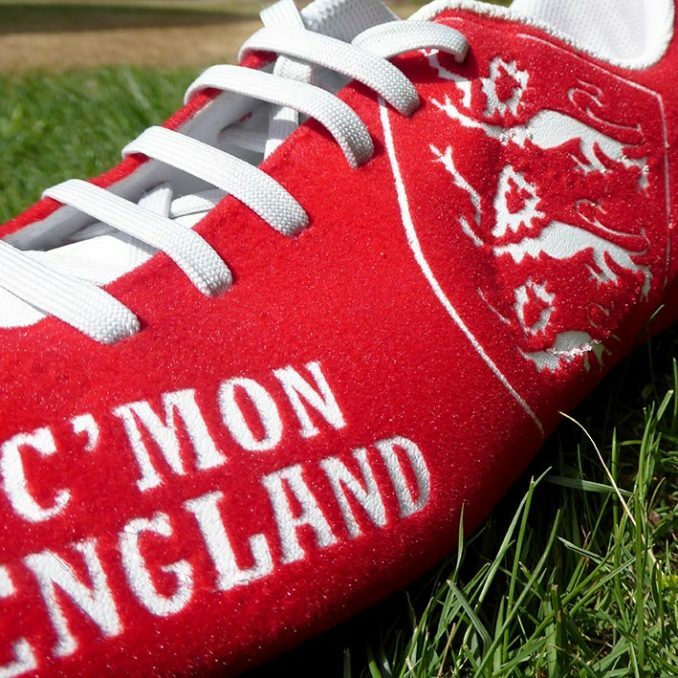 C’mon England. To show our support and to demonstrate we can flock anything. 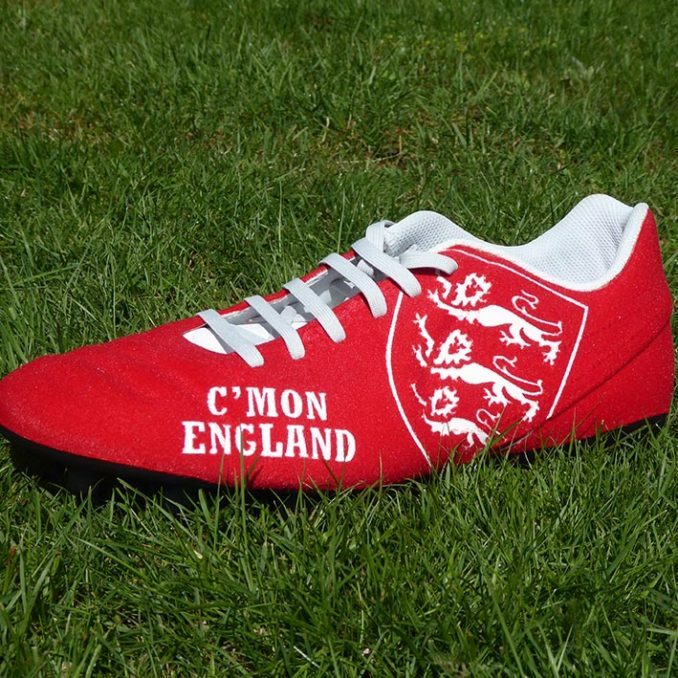 Here is a manifestation of our support for tonight on a football boot. Images of the finished boot. Video showing the prepared boot and it being flocked.